Every day the children choose from our school menu. The menu runs on a 3 week cycle. All meals are balanced and planned by Knowsley and meet all standards for nutrition for children. 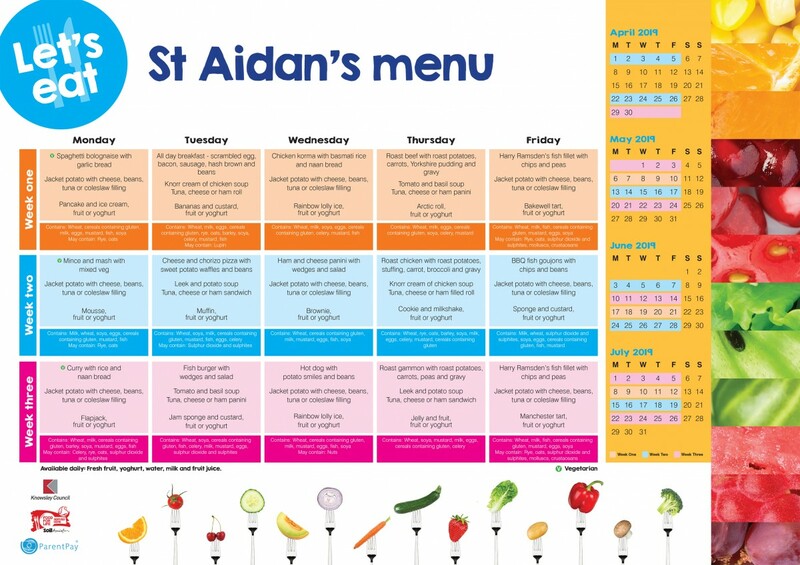 Children choose their meal at the start of each day and have a card to help them remember which meal they have chosen. Meals are £2 per day or £10.00 per week.